Hollywood loves to set up franchises and intertwining film characters these days. The latest development is the King Kong vs Godzilla battle for the superior monster. I hear this movie is in the works for the future and I don’t think I have been so conflicted in quite some time. As much as I want to see this colossal battle on the big screen I question if it will really be that good. Ok, before I start I’m going to get this out of the way before all the diehard fans jump down my throat. I’m aware that Godzilla is more than twice the size of King Kong. This is an important plot point to notice but not a reason not to make the film. It is easy to make them look similar in size and this is a new franchise so they can do whatever they want. 2014’s Godzilla started out as a reboot to the beloved franchise with Bryan Cranston in it. Little did audiences know that the Breaking Bad star was only used to sell tickets and was not in the movie that much, and the entire film was made to set up a franchise. Godzilla made $529.1 million dollars in the box office, but was not as critically acclaimed as the start of a franchise needs to be. People recognized that the movie was just a tease for something better, hopefully, and that got under people’s skins. Godzilla was not really shown on film that much so people felt robbed. The sequel has already been announced so the filmmakers are going to want to make sure they grab the audiences’ attention. Earlier this year it was announced that Kong: Skull Island was going to be made. It’s a prequel to any King Kong movie and will tell the origin story of Kong. There was a mixed reaction to this announcement but when it broke that it would lead to a battle against Godzilla, people suddenly got interested. Hollywood is making the same mistake over and over again, and that is that they are setting up entire franchises before they know if it will work with the audience. Remember The Amazing Spider Man and Fantastic Four? My point exactly. Hollywood is putting all their eggs in one basket, they are assuming, they are doing multiple clichés I could easily name, point being it’s the wrong way to do things. They should focus on each individual movie and make it as good as it can be. Movie studios try and copy the success of Marvel with The Avengers franchise. Marvel focuses on each movie and most of them are amazing. It allows the audience to pick a favorite as well as enjoying all of them as a whole universe. Instead, studios are trying to do it all at once and I for one hope this franchise works. Part of me says “Yeah focus on the story and make the movie good.” but another part of me says, “Who cares? 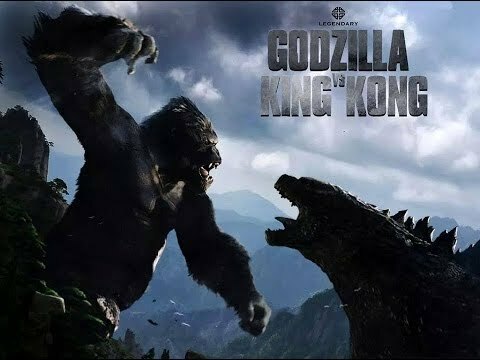 It’s Godzilla vs King Kong.” This movie could be a mindless summer action movie that makes a lot of money and is just an overall fun time. A lot of movies do that, and that is not a bad thing. So I am conflicted. Should I want a great movie with in depth characters, or see Godzilla and King Kong beat each other up for about two hours? At the end of the day it might not matter. Movie studios might just not care. They know these movies are going to make a lot of money and are going to accomplish their initial goal. I, personally, just think its lazy filmmaking. This franchise could be as good as The Avengers franchise, it just takes the proper filmmaking techniques and a little effort. I have high hopes for King Kong vs Godzilla and I will see it regardless, I just hope I’m not disappointed.